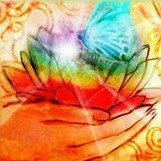 and others to heal, and once you have the knowledge and understand of how to apply this energy healing therapy you can help yourself and others to activate the body’s own natural process of self-healing. Each participant will receive a certificate of attendance from the Bio Energy Therapy Training Ireland School. New Year’s resolutions may be your thing but if they are not please just consider doing one small meaningful thing that will support you. Perhaps get more sleep, drink water or think nice thoughts about yourself as from experience we are always our own worst critic. Let yourself off the hook as you are doing the best you can. can replace the “junk” with positive thinking. It’s a never-ending cycle, but required if you want to be optimistic and live well. Trust me it’s worth the effort. So try out our affirmation above and see what happens.